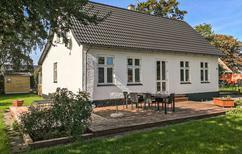 A holiday house on Bornholm costs on average USD 481 in the cheap travel period and USD 1,290 in the peak season per week. These details are of course in relation to the house and not per person as well as includes the obligatory additional charges. There's something innately pretty and welcoming about Bornholm. Blessed with sandy beaches, lush forests, rocky granite cliffs, and plenty of sunshine, this Baltic island sits at Denmark’s eastern end. 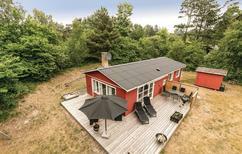 Offering so much to explore and relish, holiday homes in Bornholm are much sought after. The 'Pearl of the Baltic', characterised by its round churches, smoked herring, and exceptional summer weather, draws travellers from all over. 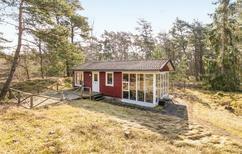 Receiving the most annual sunshine in Denmark, Bornholm is also called 'the Sunshine Island'. Dotting the coastline of the island are many open caves, making for great sightseeing. Bornholm has transitioned beautifully from a fishing island to a holiday destination, promising new experiences, gastronomical delights, cultural attractions, and much more. This sunny isle's spectacular coastline and traditional arts and crafts make it a favourite among holidaymakers. 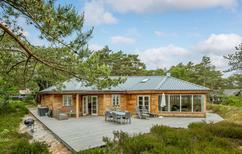 Staying on Bornholm also places you close to mainland Denmark's many popular destinations and hidden gems. The Hammershus was once the biggest medieval fortress in northern Europe, and its magnificence is still visible today in its ruins. The castle, built sometime in the early 1300s, sits picturesquely atop a 74m cliff that juts out above the sea. You can check out the visitor centre for an interesting exhibition about the castle’s history. In Svaneke, named Denmark’s most beautiful town, you can stroll through the market square to buy handmade local souvenirs. The well-preserved town's many galleries also draw art lovers. Visit the lighthouse and Bornholm’s only brewery while here. Nordic round churches are unique to Denmark, and Bornholm is home to several of these beautiful structures. Østerlars, the biggest of the lot, was once a fortress, too. Its interior boasts restored medieval frescoes. Nylars, in Rønne, is the smallest and the best preserved. Beautiful 13th-century frescoes depicting various creation scenes adorn this church’s central pillar. At the Bornholm Butterfly Park, children and adults alike can spot more than a thousand different varieties of colourful butterflies from around the world. Housed in a massive tropical glasshouse, this park is also home to numerous plants and flowers – a true treat for the senses. Brændegårdshaven, earlier known as Joboland, is an amusement park for the entire family, with a zoo, playground, and water slides. Children can spend time cuddling and feeding rabbits, goats, and donkeys at the zoo. 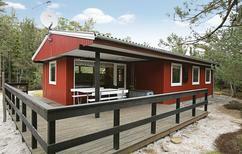 Make a trip here from your holiday home in Bornholm for a day of fun, play, and learning with the little ones. Ceramics and pottery are popular on the island. Sign up for a day of family fun by attending a workshop to gain insights into local art and culture. At the Bornholm Ceramic Museum (Hjorths Fabrik), visitors can watch craftsmen demonstrate the island’s traditional methods. Pick up some souvenirs in the museum shop. That the island was once a thriving fishing harbour shows in its people’s love for seafood, particularly smoked herring. Smokehouses all over the place serve varieties of salted and smoked herring. Other culinary specialities to try include 'Sun over Gudhjgem' (herring topped with fresh egg yolk), rye biscuits, pasta, and locally brewed beer. Organic and sustainable local produce is used in most restaurants on the island today. For a fine dining experience, visit Michelin-starred Kadeau, considered one of Scandinavia's best restaurants. The Nordic dishes here are made with native ingredients and plated on local ceramics, making for a uniquely Bornholm experience. 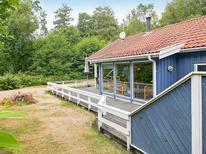 For home chefs, holiday apartments in Bornholm are a perfect choice, as they're often equipped with a kitchen. Spend quality time with your loved ones and try your hand at Danish dishes with the freshest of seafood and popular local ingredients such as Bornholm’s Diamond fig. Dueodde is home to a gorgeous beach area with beautiful dunes of fine white sand. Try water sports or simply laze around at the beach. The Dueodde Lighthouse, in the southernmost part, offers panoramic views. Visit the north coast of Bornholm for wonderful scenery of granite cliffs set against a blue ocean backdrop. Check out the unique rock formations at the Sanctuary Cliffs, Jon’s Chapel, and Lion’s Head. Views of quaint fishing villages greet visitors on the east coast of Bornholm, where you'll find the famous town of Svaneke. Stop by the candy store in the market square of the town to see how candy is traditionally crafted, and take some of these delicious treats home with you. Other popular Svaneke attractions are the half-timbered houses, Saturday market, and water tower. Bornholm Airport (RNN) has regular flights from London, Manchester, Birmingham, and other UK cities. Fliers can also transfer in Copenhagen, from where flights to Bornholm take around 35 minutes. It's also possible to take a car, bus, or train from Copenhagen to Bornholm, and there's a ferry from Ystad to the island. Summertime is the most preferred season among holidaymakers in Bornholm. 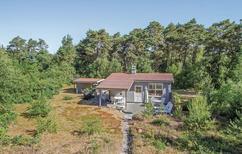 From May to August, Bornholm receives approximately 20% more sunshine than the rest of Denmark, offering the perfect weather for beach trips, sunbathing, swimming, hiking, and plenty of other outdoor activities – which is why the demand for holiday homes in Bornholm runs high during this season and it's best to book yours in advance. 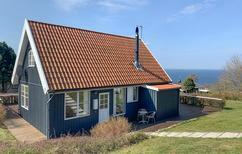 To avoid the crowds and get better deals on Bornholm holiday apartments, consider visiting in the non-peak time between October and April. Although it may be too cold for water-based activities, you'll find plenty to do on land.